By Jen Kingwell pattern only. A fantastic skill building block that looks different depending on your value place- ment. 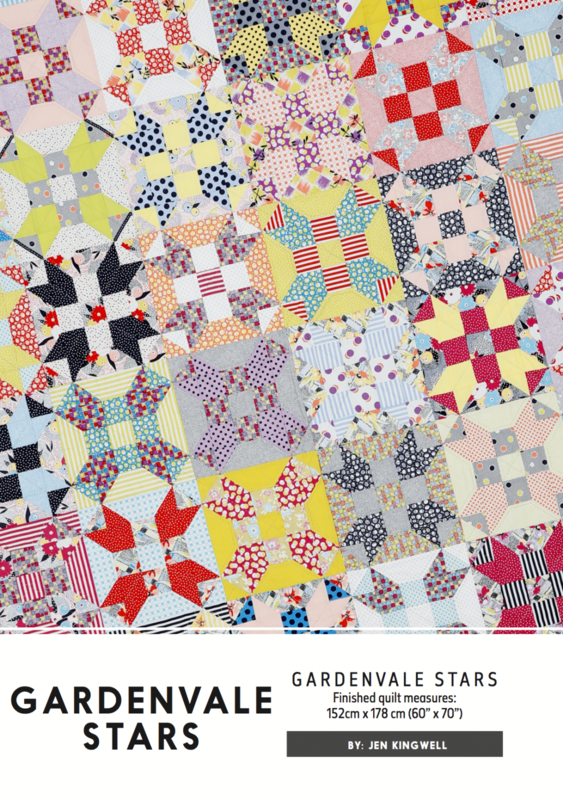 Original features Jen’s first range for Moda fabrics, Gardenvale.